On the face of it, the relationship between the Pisces man and the Leo woman seems very one sided, with the strong fire sign taking the lead. 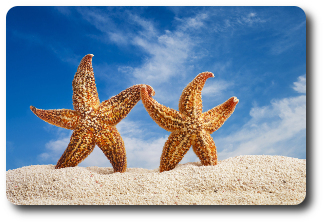 In reality, however, both of these partners are needy in their own way, and for that reason, Pisces man Leo woman compatibility has more than its fair share of problems. The Leo woman is initially drawn to the Pisces man because she appreciates his serenity. Well, serenity of sorts, anyway – he’s actually undergoing an emotional storm at any given moment, but he is a spiritual guy and manages to give the impression that he’s taking it all in his stride. The Pisces man is drawn to the Leo woman by her warmth and her love of life, as well as that magnetism she has. This couple have strong sexual compatibility and for the Pisces man and Leo woman, compatibility may well be forged in the bedroom. Away from their steamy sexual relationship, however the cracks in this fire/water sign combination begin to show. The Leo woman needs to be adored, and she needs to be the center of attention. That’s absolutely fine with the Pisces man, who will indeed adore her and shower her with love and attention – until his own emotions get the better of him and he has a meltdown, unintentionally stealing her thunder and no longer in any fit state to offer her the adoration she wants. Meanwhile, the Pisces man wants someone who will share his emotional highs and lows with him. No problem for the Leo woman – at least, as far as the highs are concerned. She will happily join in his exuberance and his joy, as she has a very sunny and optimistic demeanor herself. The lows, though? Forget it. Her instinctive approach will be to tell him in no uncertain terms to get a grip. What will the neighbors think? If there are any histrionics in this relationship, the Leo woman wants to be the one doing them. She’s very politically correct, but privately she probably thinks he’s not being very manly and just wishes he’d stop it. Which he can’t. Pisces man Leo woman compatibility therefore has several important hurdles to cross if it is to survive. If the couple can overcome their differences, they can make this work. Kind of. The Pisces man is a mutable sign, and will work hard to provide what his Leo woman wants. In return, however, he expects her to budge a bit too. The Leo woman is a fixed sign with an iron will, however, and it’s her way or the highway. The Pisces man will be disappointed and upset with this, and he will view it as selfish, which it is. He can’t abide selfishness, and this alone may be enough to turn him off from Pisces man Leo woman compatibility. When this relationship does work well, it’s a creative and passionate one. The couple share a love of art and culture, and will enjoy spending time together. More often than not, however, it will surprisingly be the Pisces man who calls time on Pisces man Leo woman compatibility. He’s not as weak as his Leo woman sometimes thinks, and he won’t tolerate her selfishness indefinitely.